The UNC Asheville Bulldogs men’s soccer team attacked and scored two goals late in the second half to claim a 2-1 victory over the Liberty Flames Saturday night at Greenwood Field. “I’m very happy with the result tonight. It’s good when you play well in front of your home fans and have support from them as well,” said Mathes Mennell, Bulldogs head coach. The first half of the match ended at a 0-0 draw, as both teams failed to hit the back of the net. After a scoreless 61 minutes, the Liberty Flames broke down the Asheville defense and Liberty forward Sachem Wilson knocked in the goal off of a rebound from a shot from Blessing Tahuona that was knocked away by Bulldog goalkeeper Zach Davis. “There was a scramble after the goalie blocked the shot and the ball came near me, so I knocked it in and scored. The opportunity was there to take the shot and I took it, and it was successful,” Wilson said. In the 75th minute, Asheville junior Zach Joens scored a goal off a cross from sophomore Ben Chapel. His first of two goals in the match. In the 82nd minute of the match, Joens scored again when he knocked in a header off of a cross from a corner kick by freshman Joe Lacasto. Joens is the Bulldogs leading goal scorer and this was his seventh goal of the season. “I thought we were much better in the second half. Liberty caused us some problems and we responded excellent to their goal. We have a lot of work to do and have three important games left in the conference remaining. Our toughness and resiliency were on display tonight versus the Flames tonight,” Mennell said. Liberty tried a last-ditch effort to tie the game in the 88th minute of the match as Bulldog keeper Zach Davis stopped Liberty midfielder Khalil Karl’s shot. 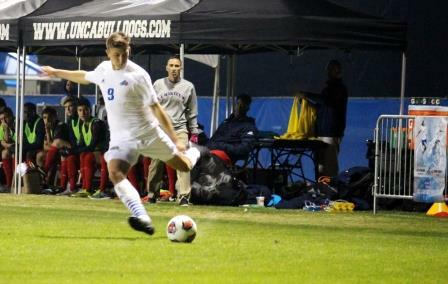 Liberty held a 14-12 advantage in shots and an 8-2 edge in corner kicks over the Bulldogs. Liberty Asheville goalkeeper Zach Davis finished the match with eight saves in the win and Liberty goalkeeper saved six shots in the loss. With the loss, Liberty University falls to 5-9-0 overall and 1-5-0 in Big South Conference play. After collecting the victory Saturday night, the Bulldogs drop to 5-8-1 overall and 2-4-0 in Big South Conference play. UNCA return to the pitch on Tuesday night as they travel to Atlanta and take on Georgia State in a non-conference match and then travels to compete against Big South rival Longwood. 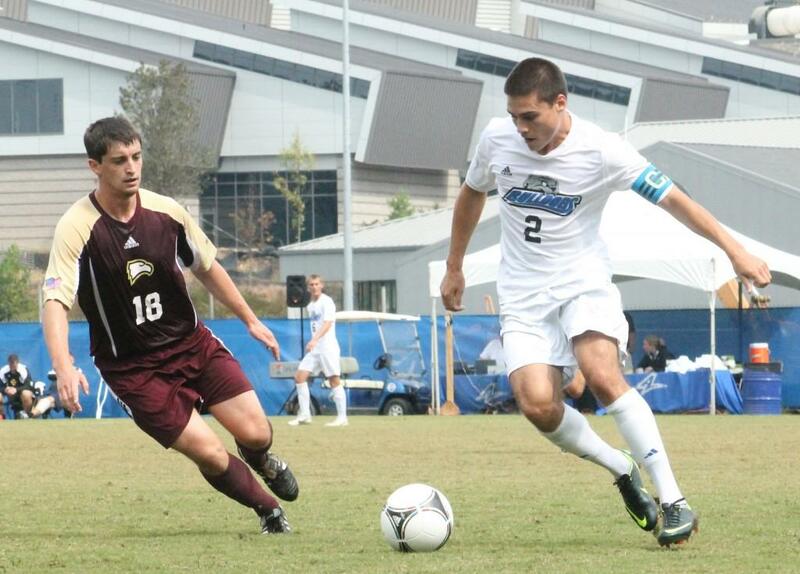 Asheville returns home Wednesday to Greenwood field as they take on Presbyterian at 7p.m.